The ROG Phone has high-end specs like all the supposed "gaming phones," but it also includes a few features that could actually make it better for playing games. Here's the spec sheet. The ROG Phone includes two USB-C ports, one on the bottom and one on the side. The idea is that the side port is better for charging and connecting accessories while playing games. There are also two ultrasonic buttons on the top edge, allowing you to map on-screen game functions to the physical controls. The phone has an active cooling bracket that plugs into that side port, which is silly. Although, it adds a 3.5mm headphone jack and another Type-C port. That's less silly. Asus also has a raft of other accessories for the phone including a $90 controller, a $230 desktop dock, and a $400 "TwinView" dock with a secondary screen. Check the PR below for the full list of accessories, but some won't launch until later this year. 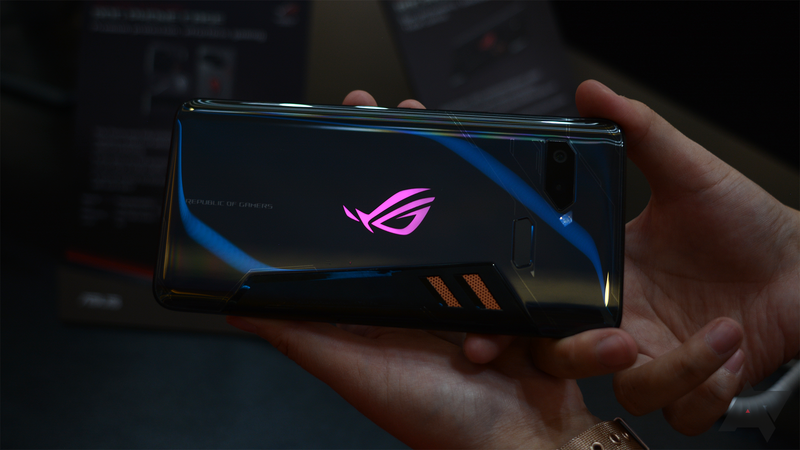 The ROG Phone will go on sale at the ASUS Store, Amazon, and Microsoft later this month. The 128GB goes for $899 and the 512GB model will be $1,099. As promised, the ASUS ROG Phone is now available to pre-order from the following places. The first 50 customers to purchase from Amazon and Microsoft will get a free case, and so will the first 25 to buy from the ASUS store. Availability of other accessories will be announced soon. 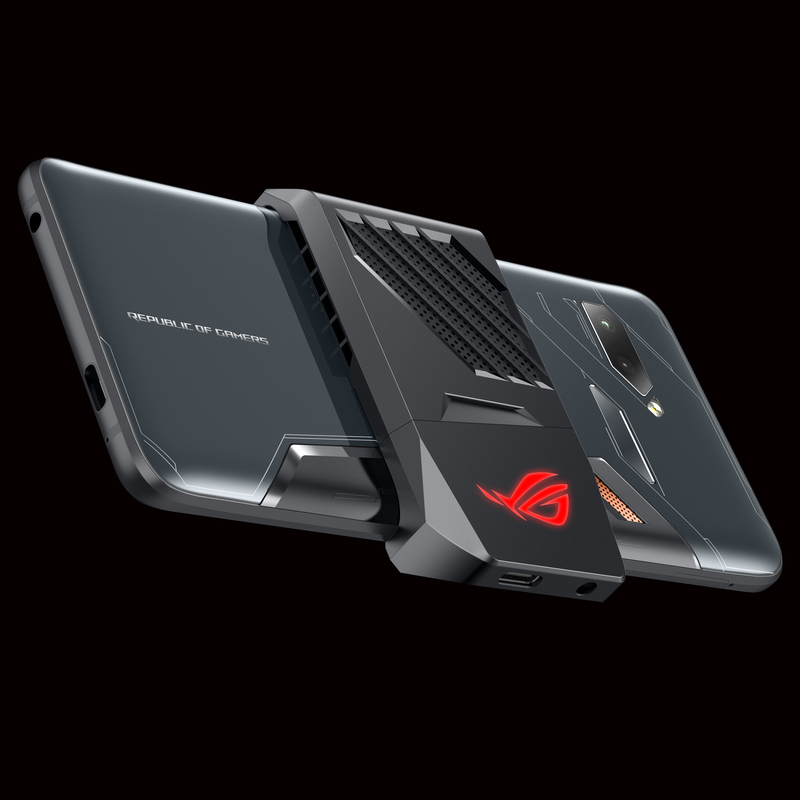 Fremont, California (October 9, 2018) — ASUS Republic of Gamers (ROG) today announces launch details for the ROG Phone, a game-changing 6-inch smartphone designed specifically for high-performance mobile gaming. The ROG Phone will be available for pre-order on October 18th, during a launch event at the Microsoft Store on Fifth Avenue in New York City. Attendees will be able to learn all about the new ROG Phone, pre-order one in-store, take part in a unique ROG Phone mobile challenge, and join teams to game with special guests Nick Eh 30 and Landon. 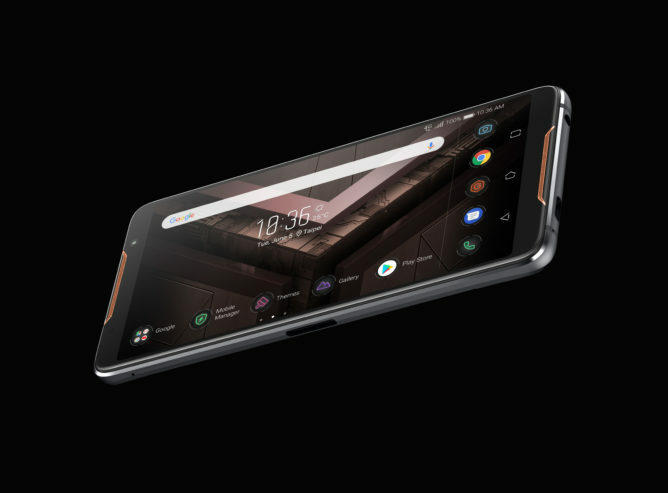 The phone will be available for pre-order online at the ASUS Store, Amazon, and Microsoft, as well as in-store during the launch event, and will be available for the starting price of $899 USD. The full range of accessories available for the phone will also be available starting in Q4. With pure ROG gaming DNA at its core, and powered by the world's fastest speed-binned 2.96GHz octa-core Qualcomm® Snapdragon™ 845 Mobile Platform with gaming-optimized Qualcomm® Adreno™ 630 GPU, the ROG Phone breaks every rule to go where rivals fear to tread. The ROG phone will be available with two different storage configurations; a 128GB and 512GB version. The Mobile Desktop Dock will be priced at $229.99 USD, and allows gamers to connect ROG Phone to an external 4K UHD monitor, mouse and keyboard. ROG Phone can be used as an auxiliary display, hooked up to a wired gigabit LAN and drive a 5.1-channel surround-sound system via the SP/DIF output. A convenient mobile and desktop switch allows users to seamlessly transition from their phone to their desktop or gaming laptop, without having to adjust their current setup. The TwinView Dock, available for $399.99 USD, turns ROG Phone into a powerful dual-screen console for the ultimate gaming and live-streaming experience, or to allow for simultaneous viewing of a game map and gameplay at the same time - on supported games. As well as a 6-inch AMOLED (2160 x 1080) auxiliary screen that's great for split-screen live-streaming, extended game display or group communication, it packs a front-facing quad-speaker system, two extra physical trigger buttons, dual-haptic force-feedback engine, an enhanced cooling system and a high-capacity 6000mAh extended battery pack. With the Gamevice Controller and the WiGig Dock — using 60GHz 802.11ad Wi-Fi — ROG Phone morphs into a portable console, supplying a living room experience, with a full inventory of physical gaming controls and ultra-low-latency wireless display connectivity for a seamless big-screen gaming experience that's perfect for group viewing. The Gamevice Controller can be purchased separately, at $89.99 USD, and packs dual analog joysticks, left and right fire triggers and bumpers, a D-pad, along with A,B,X,Y and L3, R3 buttons. The WiGig Dock will be available for purchase for $329.99 USD. With the ASUS Professional Dock, users can connect their smartphone to a big-screen TV or monitor for a cinematic gaming experience. There's also a network port for fast, stable wired internet connections. The Gigabit Ethernet port lets users enjoy fast and stable wired network connections, while the USB ports allow users to connect a mouse and keyboard for a more comfortable gaming experience. The ASUS Professional Dock is available for $199.99 USD. The ROG Phone Case is designed to provide premium protection for the ROG Phone, keeping it safe from everyday scratches, knocks and bumps. It protects the entire phone, without hindering charging or access to the exclusive AirTriggers. The ROG Phone Case is available for $59.99 USD.